​In Singapore,​ almost one in 10 ​suffers from Irritable Bowel Syndrome (IBS). Doctors from the Department of Gastroenterology and Hepatology at Singapore General Hospital explain ways​ to prevent IBS and ease its symptoms. ​include abdo​minal cramps, bloating, diarrhoea, and constipation. If your abdomen hurts or bloats when you eat a particular food, you may have irritable bowel syndrome (IBS). Irritable bowel syndrome (IBS) is a disorder that affects the intestines, causing symptoms such as abdominal discomfort, bloating, diarrhoea or constipation, or a sensation of incomplete bowel clearance. Symptoms vary from one person to the next; some people experience only mild symptoms, whilst for others, it can disrupt everyday life. The exact causes of IBS are unknown. 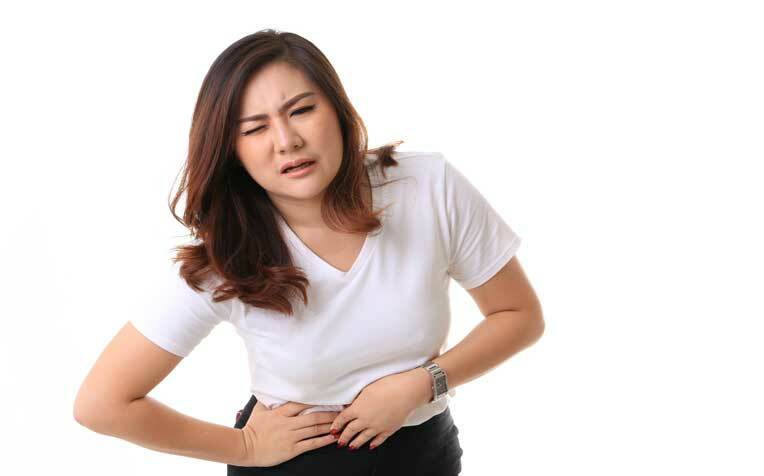 “Individuals may have overly sensitive nerves in the bowels; this causes muscles to contract too much after eating and abdominal cramps occur,” say doctors from the Department of Gastroenterology and Hepatology, Singapore General Hospital​ (SGH), a member of the SingHealth​ group. Other possible causes could be food intolerances, yeast overgrowth or unfriendly bacteria in the gut. In other cases, food is either forced through the bowel quickly, causing diarrhoea; or passes too slowly resulting in constipation. Stress could also be a contributing factor. Irritable bowel syndrome cannot be diagnosed by standard tests. Diagnosis is usually based on the patient’s symptom history. While IBS can affect people of any age, the condition develops commonly in individuals aged between 20-30. In Singapore, almost one in 10 people suffers from IBS. While IBS isn’t curable, it can be managed. Eating smaller meals and exercising aid the digestive system, and can ease symptoms. More effectively, the answer can be as simple as adjusting one’s diet. The fundamental idea behind an IBS-friendly diet is that you should avoid foods that aggravate your intestines. While sounding simple, it can take a while to figure it all out. But once you do, you’ll find eating a lot less of a task. The following steps will help you discover what foods you should and should not eat if you have irritable bowel syndrome. Certain sugars such as fructose-rich fruit juices, table sugar and corn syrup (found even in so-called healthy cereals); artificial sweeteners like sorbitol and maltitol used in sugar-free foods. After the elimination phase, you can re-introduce one-by-one the foods you cut out. You’ll know what works for you when what you eat doesn’t set off symptoms. There is no one-diet-fits-all for IBS, but this suggested list of foods might ease symptoms. Soluble fibre-rich foods such as oatmeal, seeds, citrus fruits, and certain types of grains like rye. Insoluble fibre found in foods like whole wheat bread is beneficial to health but may not help IBS symptoms. Unlike soluble fibre, which dissolves in water to form a thick gel, insoluble fibre remains largely unchanged throughout the digestive process. Water. Too much fibre + lack of water = constipation, so drink up! The body’s digestive tract requires fluids to move faecal matter along. Fermented foods such as plain, unsweetened yoghurt, tempeh and miso. These contain good bacteria that improves digestion. Various supplements and over-the-counter medicines claim to ease symptoms that plague IBS sufferers. Laxatives. Whilst they provide almost-instant relief, stimulant laxatives should not be taken over the long term. Other types of laxatives pull water back into the colon to soften stools or to form soft, bulky stools prompting normal contraction of intestinal muscles. Possible side effects include cramping, bloating, gas or dehydration. Probiotic pills. Probiotics fight bad bacteria in the gastrointestinal tract. Probiotics can improve intestinal function, promote a healthy digestive system and also help fight off diarrhoea-causing organisms. Constipation-prone IBS sufferers may turn to bulking agents such as psyllium to increase their bowel movement. However, such agents can worsen other symptoms like bloating if taken in excess. Antispasmodics. Antispasmodics relax the smooth muscles of the gut and relieve stomach cramping. However, they have side effects such as drowsiness, dry mouth and constipation. ​What's Causing Your Gastric Pain?